Best Blogger Templates Style - Creative Art Is a Two Column Art Theme Blogger Template with a Left Sidebar.The template has a bright feel with an art style background.Special Menu, Rss Icon, Search Bar and Flickr Photo Stream are among the added features.You can download This Art Theme Blogger Template for Free from BestBloggerTemplates.Net. 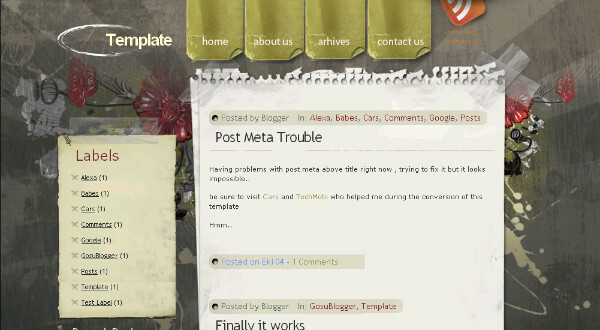 Nice Blogger Template. I am regular follower of your blog. I have bookmarked your blog in my browser and also copied your blog url.